I love book blogs. For someone who loves reading they are icing on the cake in the best possible way. They are at times like substitute book clubs, discussing every possible aspect of a piece of literature and at other times, like beautiful notice boards, helping you navigate the depths of information out there. 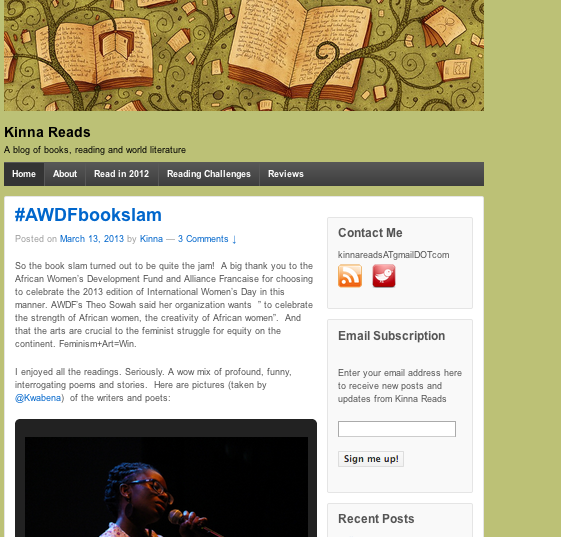 In Ghana there are two book blogs to “write home” about. 1. 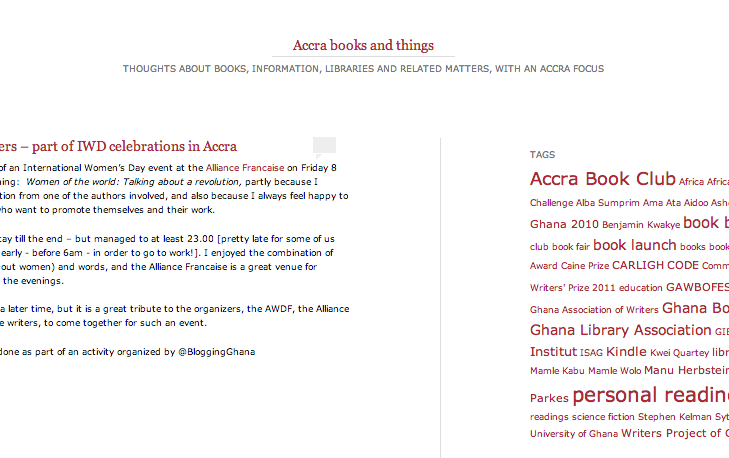 Accra Books and Things – All Ghanaian literary releases, events and personalities get featured on this blog which also covers library issues and other things you did not know you were interested in! Kinna reads and writes about her readings. She has also introduced me to high tech reading lists, challenges and a host of international, especially African, book blogs. 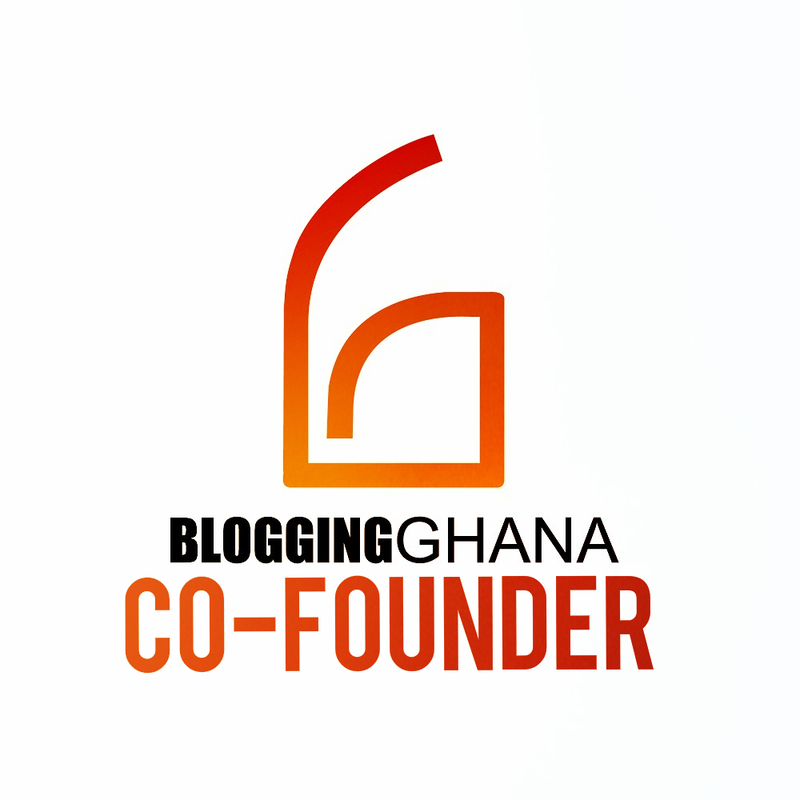 I am proud to say that both originators are friends of mine and active members of BloggingGhana. 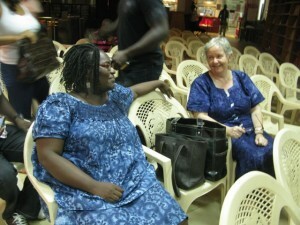 Below I caught them at a book event last year, Kinna to the left, Nina slightly further away from the camera. How sweet of you to mention the female book bloggers!